As far as I’m concerned the time around Easter, when Mini Eggs are on sale, is the best time of the year. I know other people feel the same, there was even an official petition calling for Mini Eggs to be on sale all year round. I signed it but apparently it was deemed an issue that is “outside the responsibility of the government”. Pah. Just one crunch of a Mini Egg sugary, pastel-coloured shell and milky Cadbury’s chocolate and you know it’s impossible to stop at one… bag. 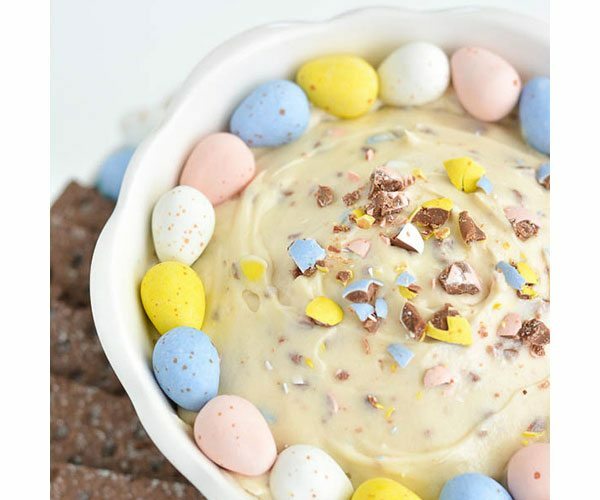 You don’t have to enjoy these little beauties on their own, make the most of the short-lived Mini Egg season and use them in everything from cheesecake to fudge, brownies to ice cream. 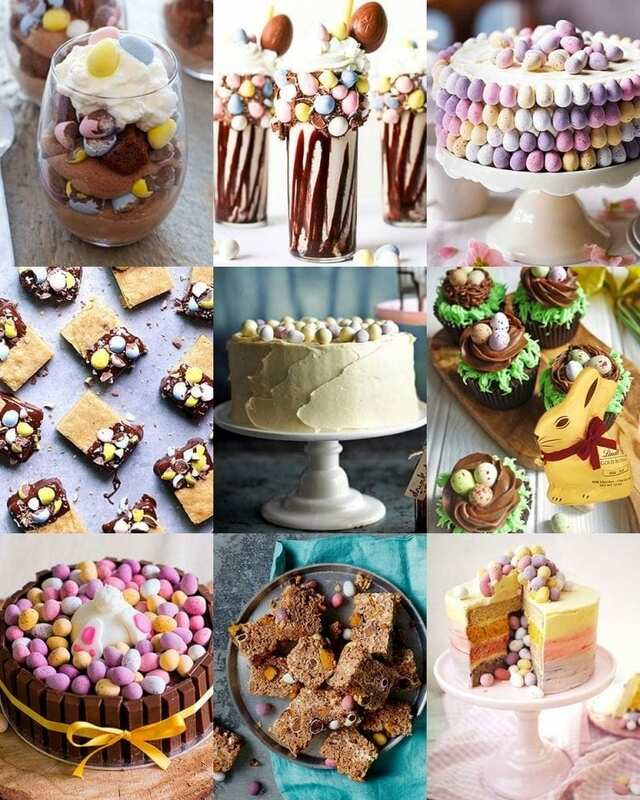 Here are some of our favourite recipes from around the web. 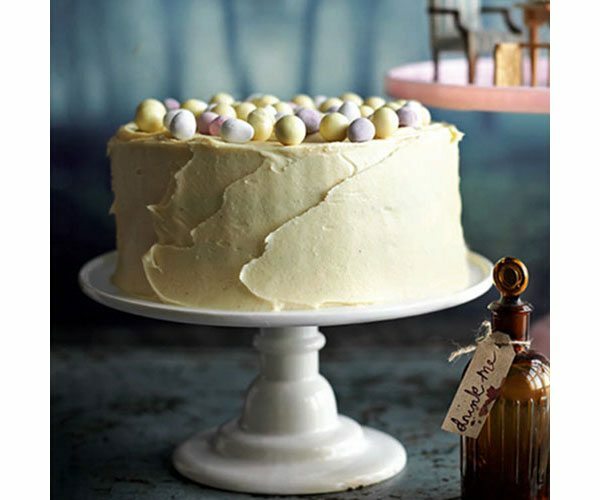 It doesn’t get more decadent than layers of chocolate Malteser cake, covered in a rum, malt and white chocolate icing, then topped with Mini Eggs. 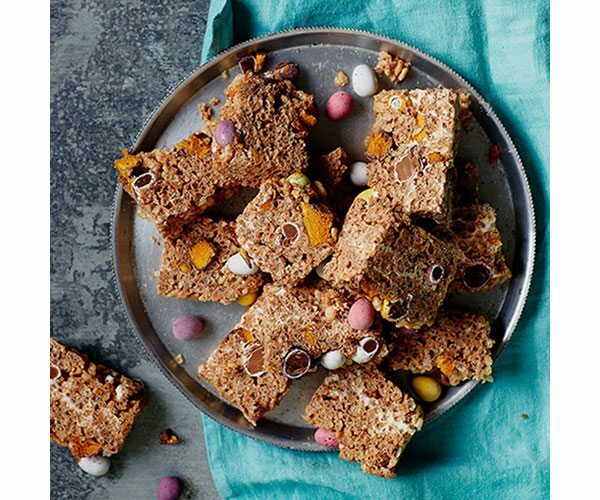 Crunchies, Curly Wurly bars, Rice Krispies, marshmallows and Mini Eggs come together to form a treat for serious sweet-lovers. Chewy white chocolate blondies taste even better when dunked in chocolate and topped with Mini Eggs. 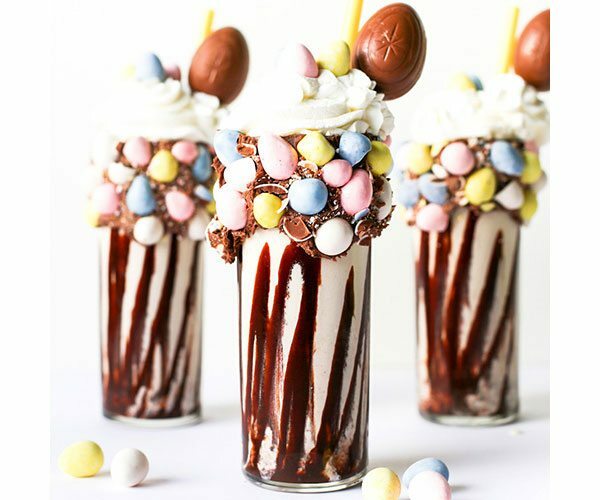 Next level chocolate milkshake with a cake icing and Mini Egg-adorned rim. 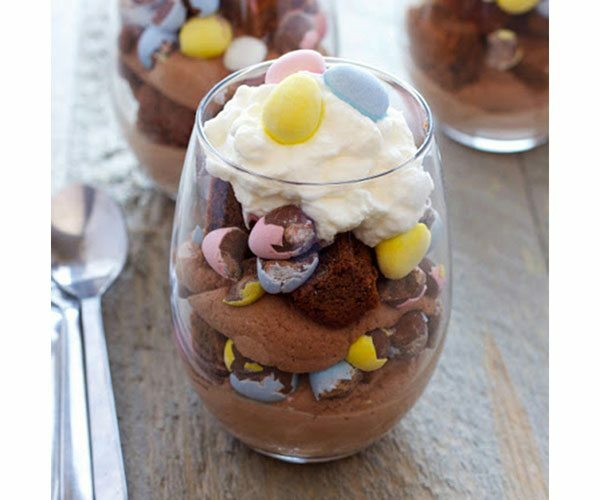 Fudgy brownie pieces, chocolate whipped cream and Mini Eggs go into this Eton-mess inspired dessert. 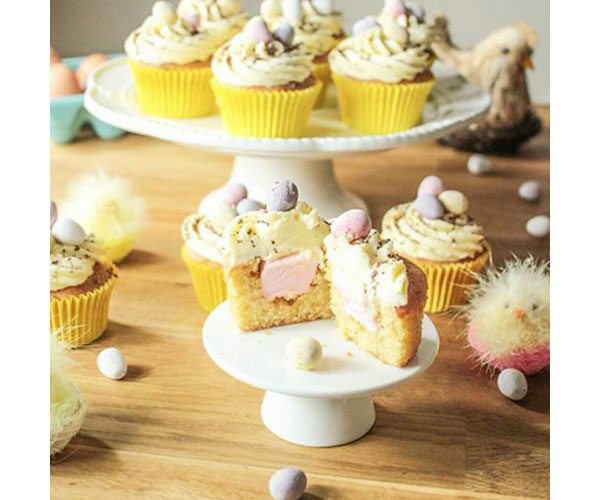 Great British Bake Off contestant Martha covers a light vanilla sponge with white chocolate buttercream and covers it in Mini Eggs. 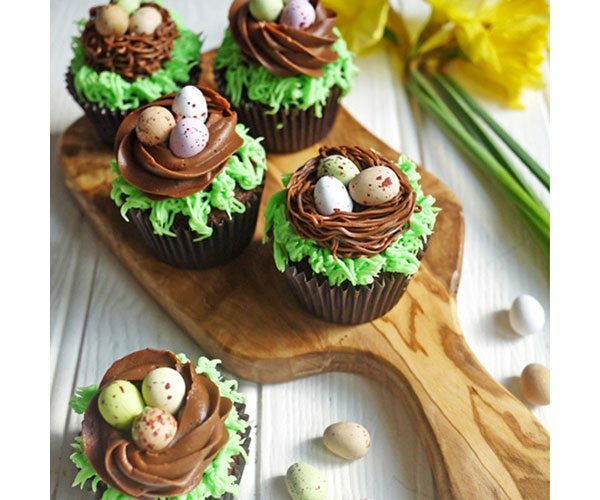 These cupcakes, topped with buttercream nests for those precious Mini Eggs, are great to make with children this Easter. 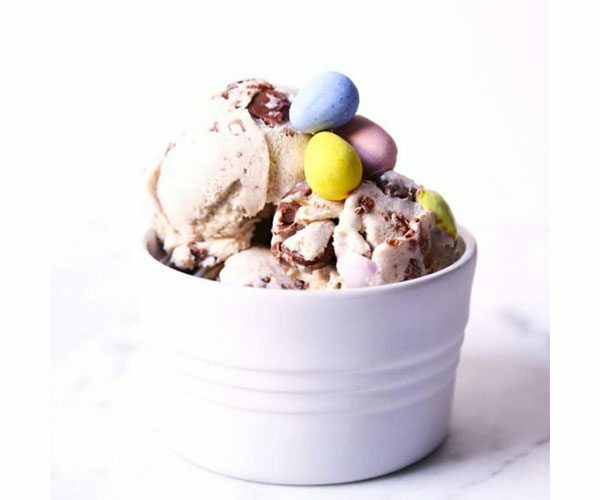 Coconut milk ice cream and Mini Eggs makes a great sunny day treat – here’s hoping the sun shines this Easter. 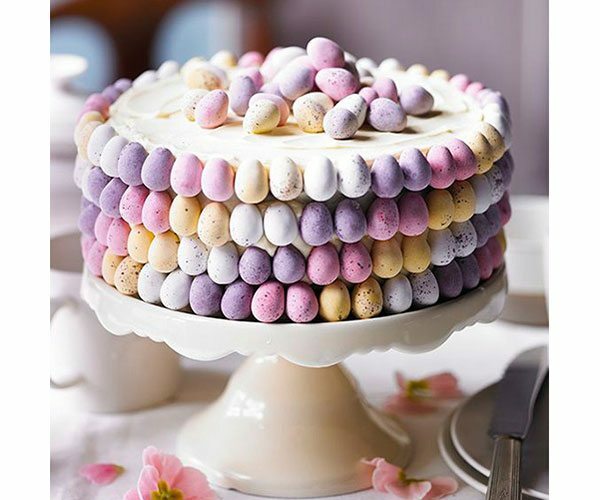 Make an Easter centrepiece with this rich chocolate cake layered with cream filling. 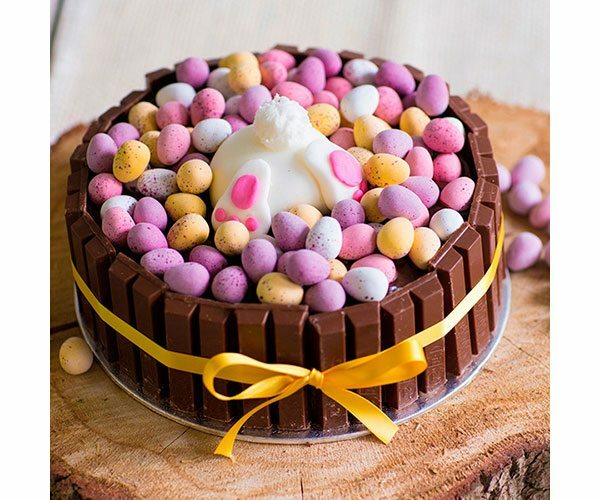 It’s then covered in dark chocolate ganache, edged with Kitkats and covered in Mini Eggs. 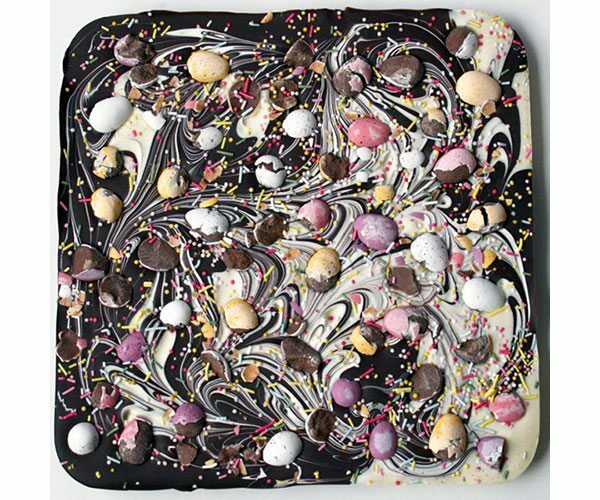 This is a full-blown Easter chocolate fix, it’s easy to make by swirling together white, milk and dark chocolate then sticking Mini Eggs in and sprinkling with hundreds and thousands. What’s more fun than a real piñata? 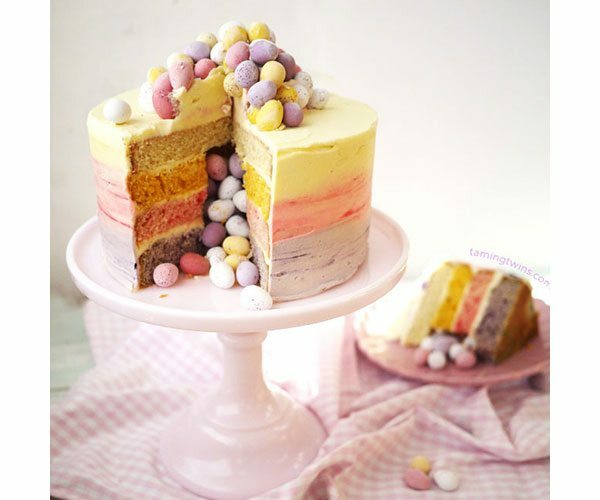 A piñata cake which, when sliced open, reveals a tumbling mass of Mini Eggs. Heaven. When crisps and dip don’t satisfy your sweet cravings, dunk biscuits into this cheesecake-style mixture. 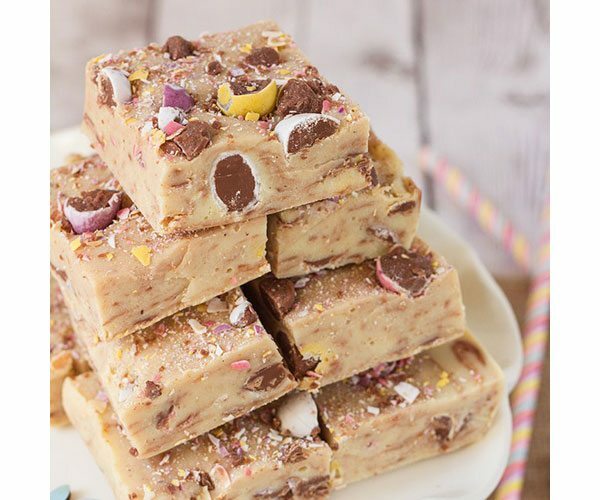 We’ve all tried festive Christmas fudge, now it’s time to try Easter fudge, packed with smashed Mini Eggs. 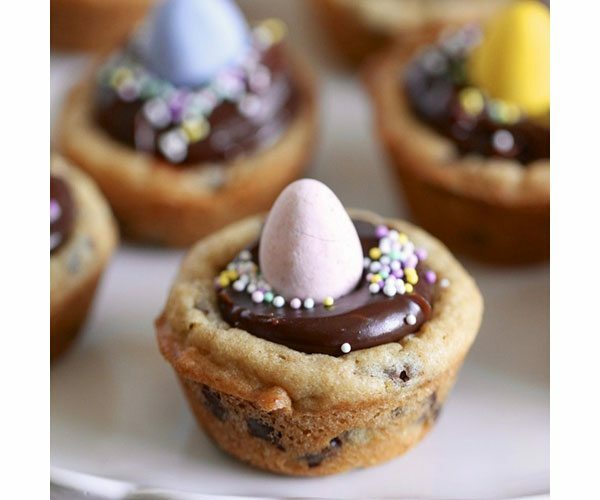 A cookie cup filled with a dark chocolate ganache and a Mini Egg nestled, pride of place, on top. Beating the egg whites separately means these little cakes are especially light and airy. 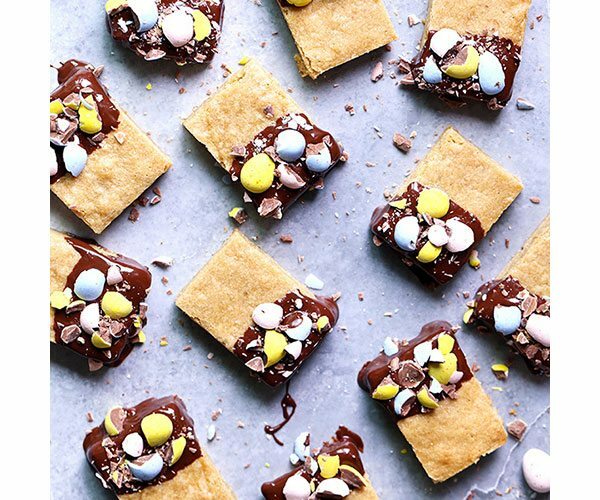 Serve them in an egg carton for a very Instagram-worthy treat. 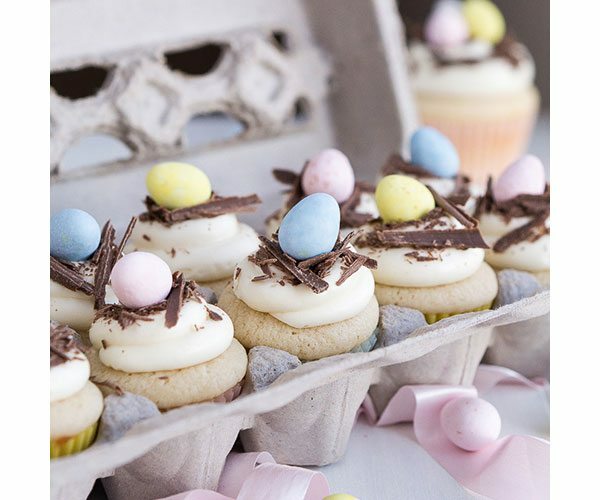 Just when you thought these pretty Easter cupcakes couldn’t get any better, you take a bite to find a marshmallow hidden inside. 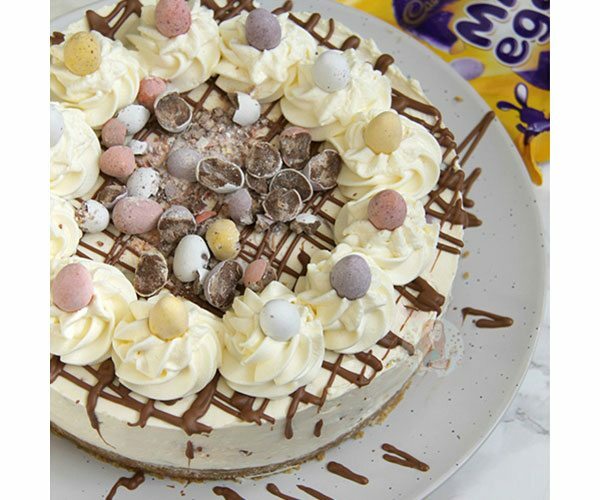 No baking, no hassle, just a vanilla cheesecake that’s studded with Mini Eggs and topped with them too. 18. delicious. 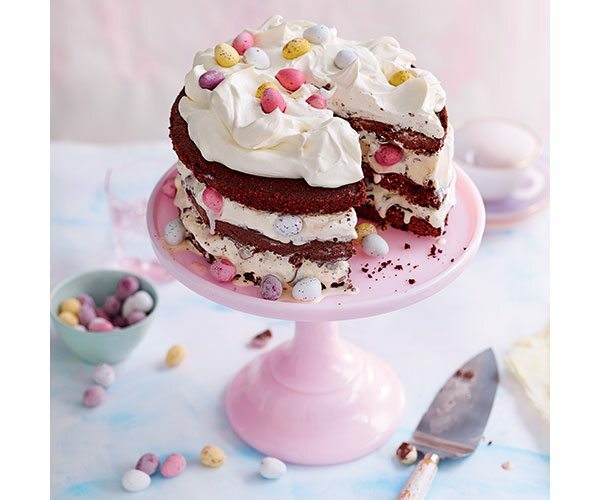 Mini Egg ice cream chocolate layer cake – give it a crack this year.